At ecommerceChris, we’ve spent the last couple of years helping sellers protect their accounts, and avoid suspensions. Which seems counter-intuitive when Chris McCabe is known as the best person to hire if your Amazon account is suspended. So, why help sellers protect their accounts? Because, we’d much rather help someone before they are suspended, than have them come to us in tears, anxious about their financial future after Amazon shuts down their account. We still have people contact us daily, telling us that they’ve lost their entire business, and they can’t afford to get help to get their Amazon account reinstated. We were so happy when we heard about Amazon Suspension Insurance. Most of the time, sellers don’t see their suspension coming, and they haven’t planned or prepared for one. Even though an account suspension is consistently one of the biggest concerns of Amazon sellers. With suspension insurance, you can be sure that you’ll have the funds you need to get help getting your business back. Just like you, we had some questions. So we spoke to NAS Momentum insurance to find out exactly how Amazon Suspension Insurance works. We also negotiated a 10% discount on suspension insurance for our members! NAS Momentum understands that our members are on the right track to protecting their Amazon accounts, but we all know that Amazon suspensions can happen when you least expect them. 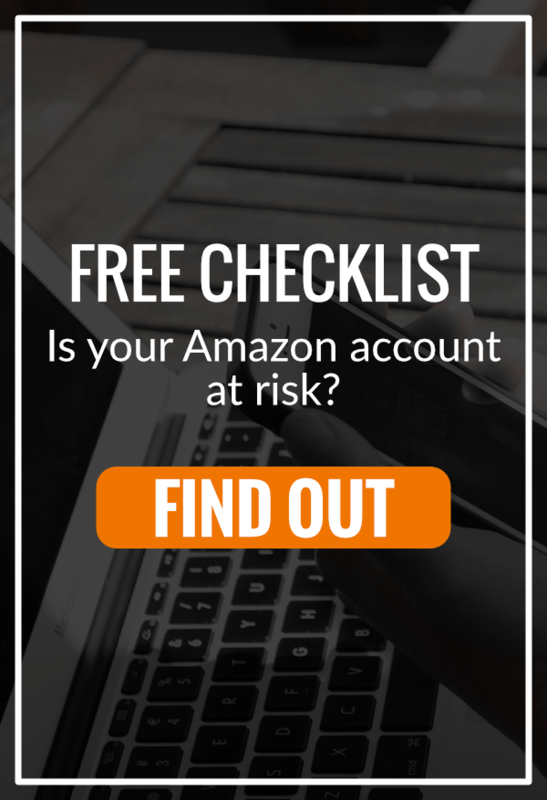 We’re so happy to have created this partnership, to give you the resources you need to protect and defend your Amazon business! 1. Tell us a little about what NAS Momentum does? Momentum™ is essential business insurance for Amazon sellers. From the experts at NAS Insurance, Momentum™ gives online sellers the protection they need to cover their financial losses during a suspension and help them get back to business. Momentum™ includes three robust coverages for financial loss, reinstatement expenses, and tax audit expenses. Backed by 40+ years of industry experience and an expert in-house claims team, Momentum™ gives sellers the protection they need and the peace of mind they deserve. 2. How much does coverage cost? Pricing starts as low as $250 annually but varies based on projected annual gross sales, business operations, and the amount of coverage desired. 3. What expenses and/ or loss of revenue does your coverage include? If a seller’s account is suspended, Momentum™ covers loss of Net Business Income, which is defined as Gross Sales less Amazon Fees less Cost of Goods Sold. It also covers expenses incurred to appeal a suspension (i.e. costs to hire a reinstatement specialist). In the event of a tax audit, Momentum™ covers expenses incurred for services rendered by a tax practitioner. 4. Is there a monthly payment plan? There is no monthly payment plan available at this time; however, annual pricing is very affordable. 5. Are sellers who have been suspended previously eligible? If a seller has been suspended in the past 365 days, we will require additional information related to the suspension before we can determine eligibility. 6. Do you aid in account reinstatement? NAS Insurance is not a suspension consultant, nor do we use in-house reinstatement services. Our product, Momentum™, covers expenses incurred in appealing suspensions (subject to policy terms). Sellers have complete freedom to choose any reinstatement specialist they wish to work with; and we made sure to provide enough coverage for top-tier reinstatement consultants, such as yourself. We do not force our policyholders to use any particular reinstatement service. 7. Is there a max cap with payout? And/or length of time of payout? Depending on the policy limit chosen, Suspension Loss coverage options range from $25,000 to $1,000,000. Suspension Loss is covered for up to 30 days. 8. What is the deductible? The deductible varies for each coverage, as follows: Suspension Loss is subject to a 5-day Waiting Period; Suspension Appeal Expenses are subject to a $250 deductible, and Tax Audit Expenses are subject to a $250 deductible. 9. Does the premium go up after a suspension? There is no standard premium increase due to a suspension. 10. Do you cover ASIN suspensions? No. Momentum™ covers account suspensions only. 11. What happens if the seller gets suspended? What steps should they follow? Generally speaking, the seller must notify NAS Insurance as quickly as possible–no later than five (5) days after they receive notice of the suspension, and include a copy of the written order of suspension. They will be assigned a claims examiner who will be their point of contact throughout the claims handling process and will work with them to help gather information about the claim (i.e. date of suspension, reinstatement date, financial documentation, receipts/invoices, etc.). Sellers will work with their claims examiner throughout the life of the claim to monitor changes, answer questions, and achieve a resolution as quickly as possible. We’re so happy to be able to offer a 10% discount on suspension insurance to our members! If you’re looking for the best protection for your Amazon account, an ecommerceChris membership + suspension insurance is it!